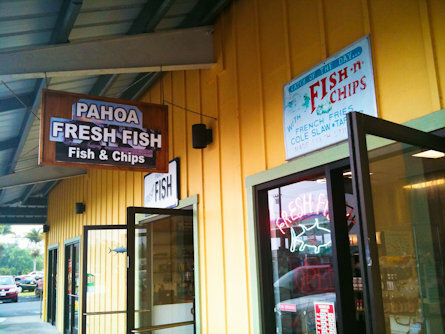 We’ve been hearing a lot about this fish n’ chips place in Pahoa and had to try it for ourselves! Going in, it looks like a fishing supply place, but during the time we’ve spent here for lunch, I think all they’ve sold was their fish n’ chips, and we now understand why. We ordered a large plate to share ($10.75). Their “large” plate comes with five large and juicy pieces of either mahi mahi or ono. 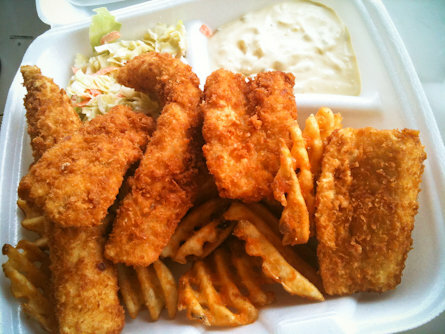 I usually prefer mahi mahi because it’s more tender. These were huge pieces…. seemed like almost 1 pound of fish and they were perfectly cooked. You could tell it was very fresh. They batter and fry up each plate to order right in front of you. Waffle fries were good and the cole slaw was crunchy and mild. 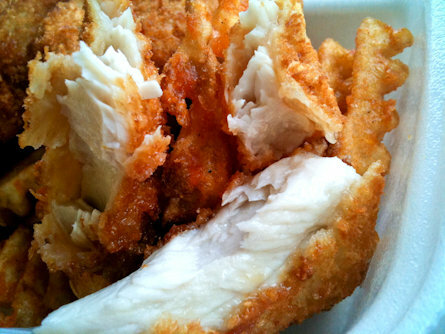 Best fish n’ chips I’ve had on the Big Island. 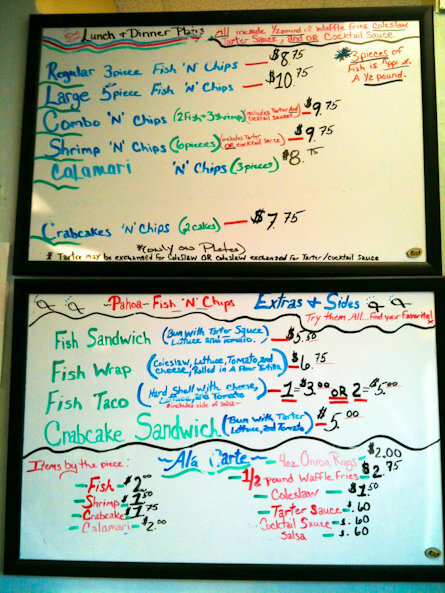 In the Pahoa Village Marketplace (808-965-8248). 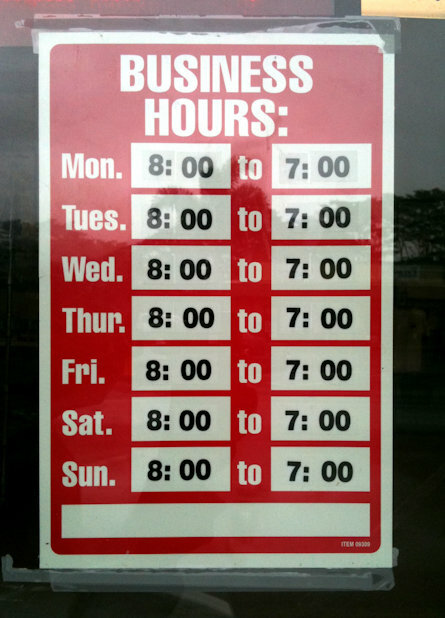 You are currently browsing the archives for the Pahoa category.